Most of what follows is hearsay. In the past few weeks, several people have told me about some remarkable comments they’ve heard from visitors to town. I’ve also run across some other amusing misconceptions on my own. 2. Whatever that person in Jackson may have said, there’s no need to stock up before heading this way. Dubois does have an amply stocked grocery store, a gas station (well, actually four of them), and many places to buy a cup of coffee (or even a latte, a cappuccino, or a chai). 3. There probably isn’t a grizzly bear in the Town Park just now. Our bear expert Brian does say that, in theory, except in the dead of winter, a grizzly could be anywhere. But a grizzly doesn’t want to see you any more than you want to see her. We know better than to leave trash around for her to find, and she prefers to be in the forest anyway. Everybody knows how to recognize the signs that a bear has been around, and if any had been seen recently, you can bet that (1) everybody would be talking about it and (2) it would have been taken care of long before they began talking. 5. We’re not all cowboys in Dubois. Indeed there are many working cowhands, retired cowboys, former cowboys, and would-be cowboys. But the population also includes (off the top of my head) a computer architect, a designer of medical devices, a lobbyist, and many painters and photographers. 6. Dubois does have stop signs.“There’s not even really a stop sign in town,” Jeda Higgs said on the video “Chasing Totality: Making the Eclipse Megamovie.” I probably would have been dazzled by the exposure too, but that was hyperbole. More accurately, there is no stop sign, yield sign, or traffic light for cars making the 90-degree turn on the highway as it passes through the center of town. They have the right of way (and locals know it). People do face stop signs as they enter the highway from many side streets in town, and there are more in the residential parts of the village. 7. Dubois is not the most remote town in the lower 48 states. I dealt with this long-held and much-quoted myth in a previous post. The following is true: Dubois is more than an hour’s drive from the nearest large towns. A remarkable proportion of the surrounding landscape is publicly owned wilderness. The nearest Interstate is about 3 hours away. On the other hand, goods and services are easily accessible and residents take the commute to big-box stores and other conveniences as a fact of life (just as people elsewhere endure traffic, which we don’t have). Besides, those “commutes” are unusually scenic. But by any published criterion, Dubois is not the most remote town in the US. 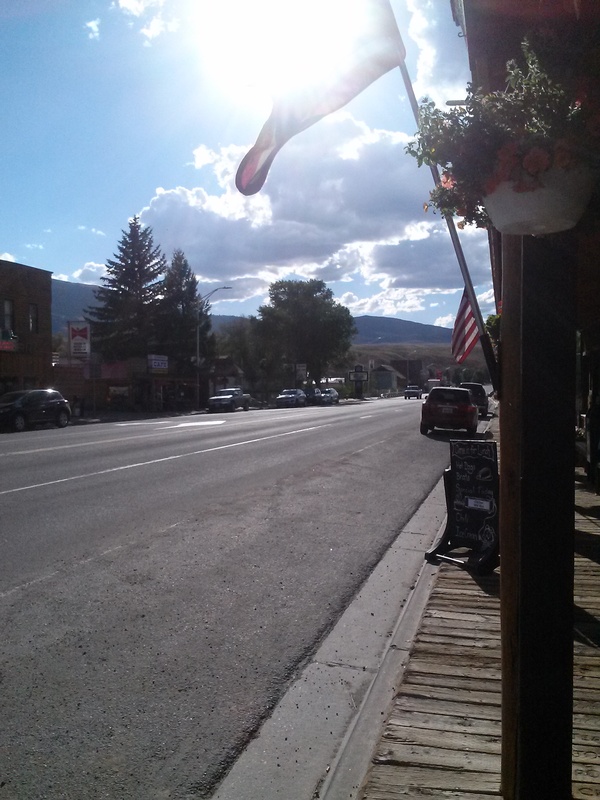 Maybe the most interesting or most charming or most authentically Western or most friendly remote town in the lower 48, but not the remotest. 8. Winters aren’t brutal in Dubois (generally). Last winter may have been tough, true. But in general, temperatures here are several degrees warmer than in Jackson. Most of the snow (usually) gets dumped on that side of Togwotee Pass or on the Pass itself, giving us wonderful opportunities for snowmobiling and snowshoeing. The dry climate keeps winter temperatures surprisingly tolerable. And the air is magically clean.